Since introducing the first generation of the Turbo in 1976, BÖWE SYSTEC has continuously updated and improved the system’s concept. For the design of the ninth generation, the focus was on energy efficiency and the security of the production process. In line with these market requirements, Turbo’s ninth generation is the most eco-friendly system in its class and features more than 90 technical improvements. 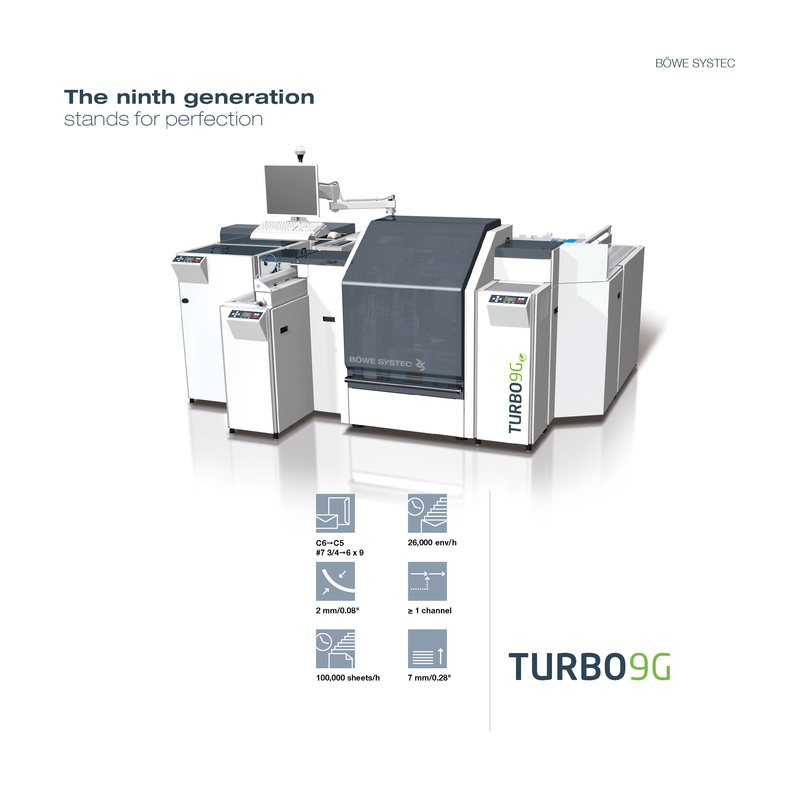 Amid all theses innovations, Turbo 9G retains its successful qualities, like gentle handling through vertical transport and the introduction of pneumatic and servo technologies, minimal set-up times through fully automated job changeovers and modularity – and all this while maintaining the highest level of integrity and a throughput of up to 26,000 or 22,000 envelopes per hour. Vertical transport of materials ensures secure guiding and fast, precise handling of documents. This process reduces not only wear and tear on the material, but also on the machine, guaranteeing reliable performance in continuous operation. 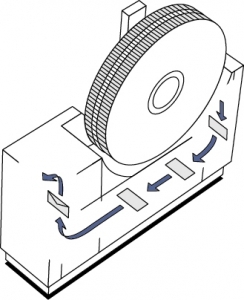 Pneumatic and servo technologies increase the precision and security of processing. For Turbo 9G, the transport speeds have been harmonized. 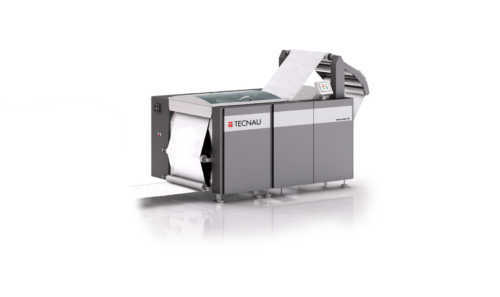 This improves continuity of the process and enables the production of high print volumes within the shortest time. 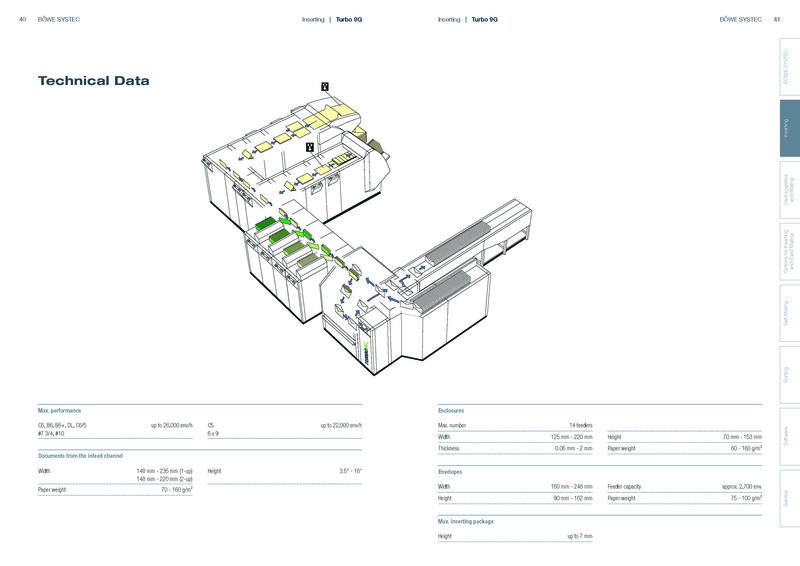 Highest integrity is achieved by utilizing sensors to locate and identify each and every document within the system. 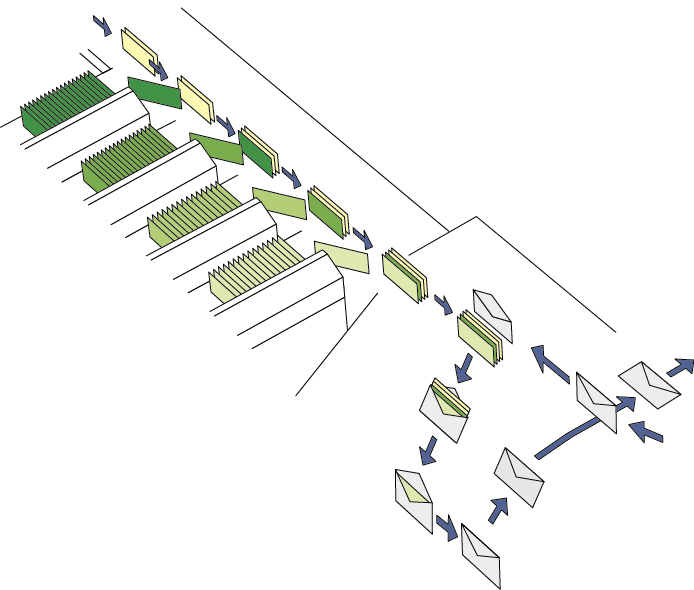 volume mail processing. 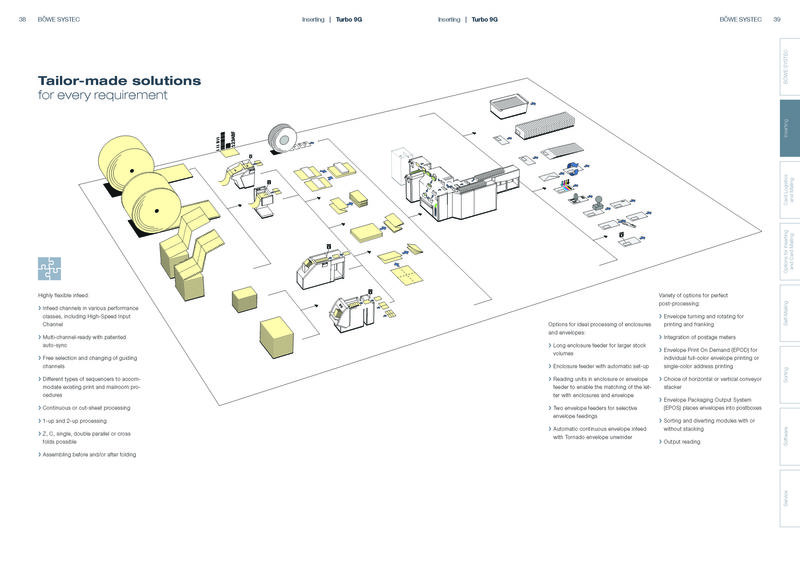 From document infeed to enclosure handling and postprocessing, all production steps are perfectly integrated. This remarkable system is available in two performance classes. 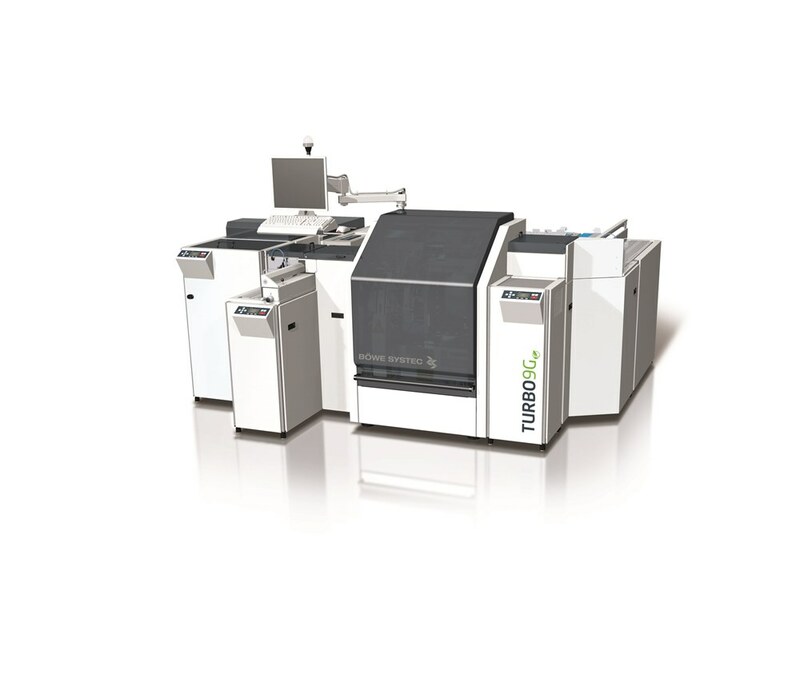 At a capacity of up to 26,000 envelopes per hour the Turbo 9G 26k is ideal for single-channel applications and high-volume jobs with low page count per envelope. The competitively priced Turbo 9G 22k with a capacity of up to 22,000 per hour is ideal for complex single- or multi-channel applications or high volume jobs. 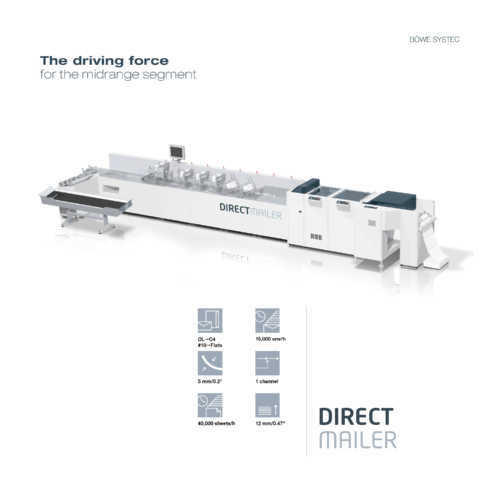 The requirements for the mailroom continue to become more and more complex and the demand for more flexible machines continues to grow. That is why the Turbo 9G shows its versatility from the infeed on. With the newly developed sequencer, the system can easily be modified to accommodate existing print and mailroom procedures. Even for the now almost common challenge of handling frequently changing enclosures, the Turbo 9G offers a reliable solution: the optional enclosure feeder with automated and reproducible settings. 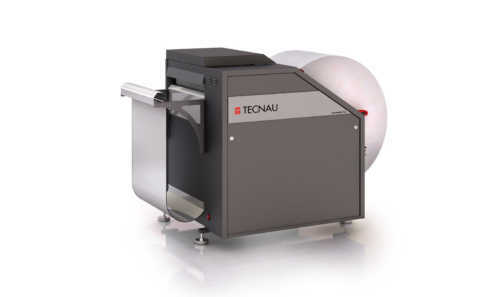 The Tornado will streamline the efficiency of any mailroom: The unwinder for continuous infeed of envelopes ensures high produc tivity. 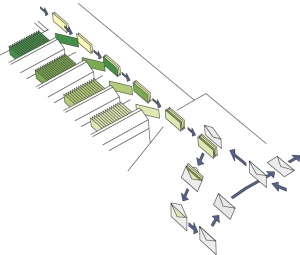 The Tornado automatically feeds envelopes into the inserting system in a continuous flow for a prolonged period of time, resulting in reduced operator workload and a clear increase in efficiency in the mailroom. 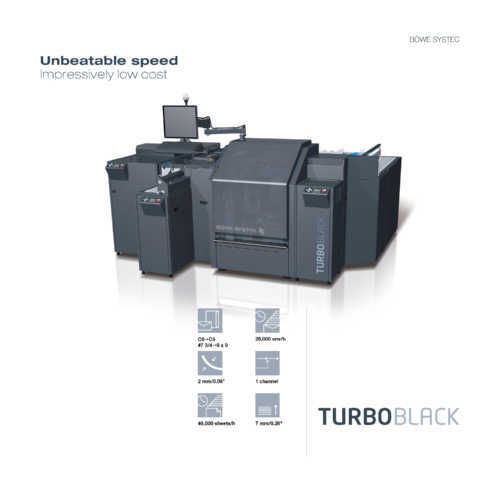 Beginning with both compact and competitively priced basic version up to sophisticated high-performance systems, the Turbo 9G provides the perfect solution for any application and for every mailroom. 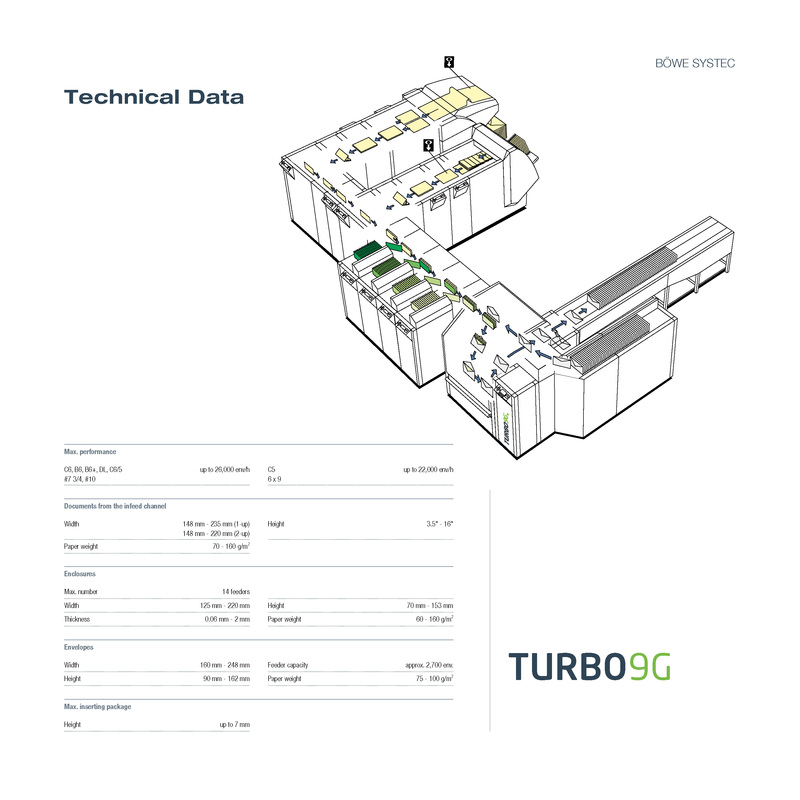 The modularity of the Turbo 9G also allows the adaptation of the systems to the floor space available.